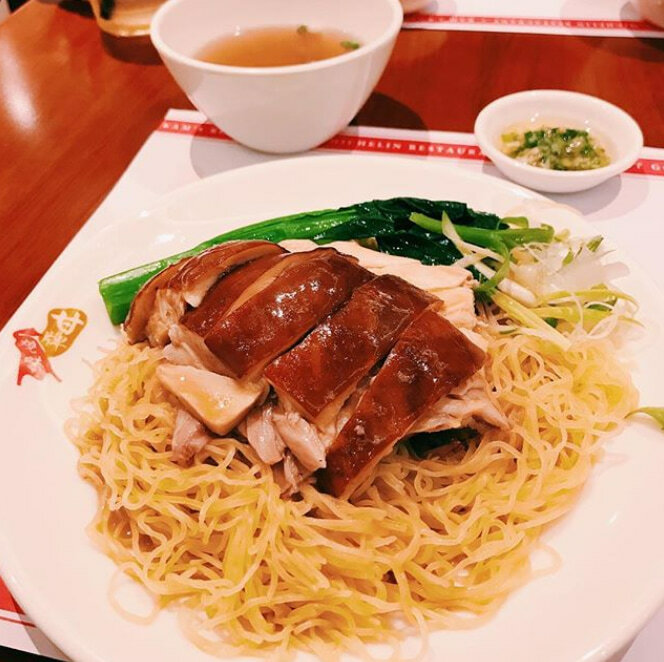 Soya sauce chicken was an underrated dish until the early 2000s, when Liao Fan Hong Kong Soy Sauce Chicken received a Michelin star for its $2.50 plate of soya sauce chicken, thus propelling it to fame. Yet, not all of us can brave the sweltering heat for the snaking queue at Chinatown Complex. So if you have neither the time nor patience to wait in line, here are 10 alternatives to get your soya sauce chicken fix. 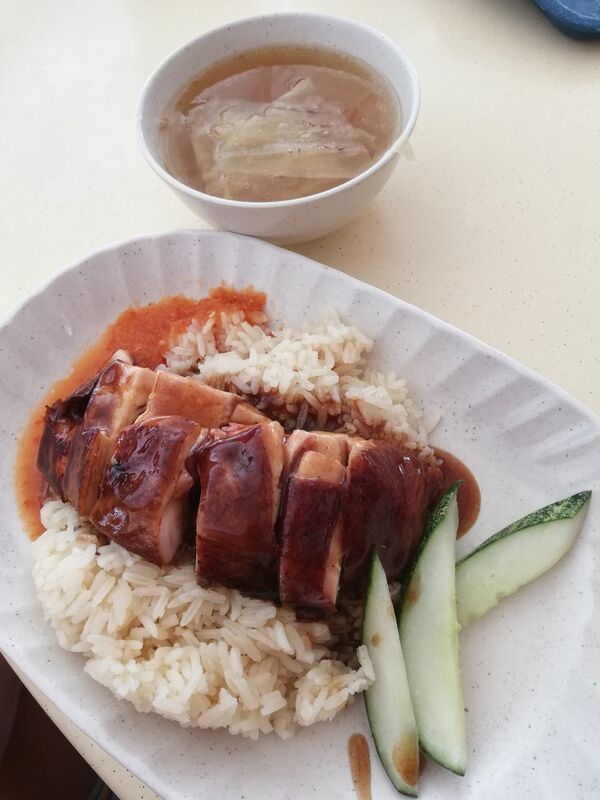 Lee Fun Nam Kee is my personal go-to place for a comforting plate of soya sauce chicken rice. This old-school gem has been around for the past 40 years, and was my dad’s favourite stall when he was a student. 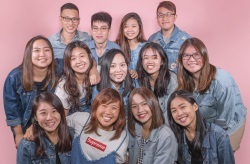 Their unique, soya sauce chicken (from $6) is cooked in a traditional Hainanese sauce consisting of 15 herbs, giving a subtle and savoury flavour. What I love about their chicken is how tender it is. Paired with either a bowl of fragrant chicken rice or springy soya sauce noodles, this dish is a perfect perk-me-up if you’d like to satisfy your cravings in a clean, spacious and comfy environment. Started by an ex-Raffles Hotel chef, Xiang Jiang Soy Sauce Chicken serves a killer plate of Dry Soy Sauce Chicken Noodle ($4). 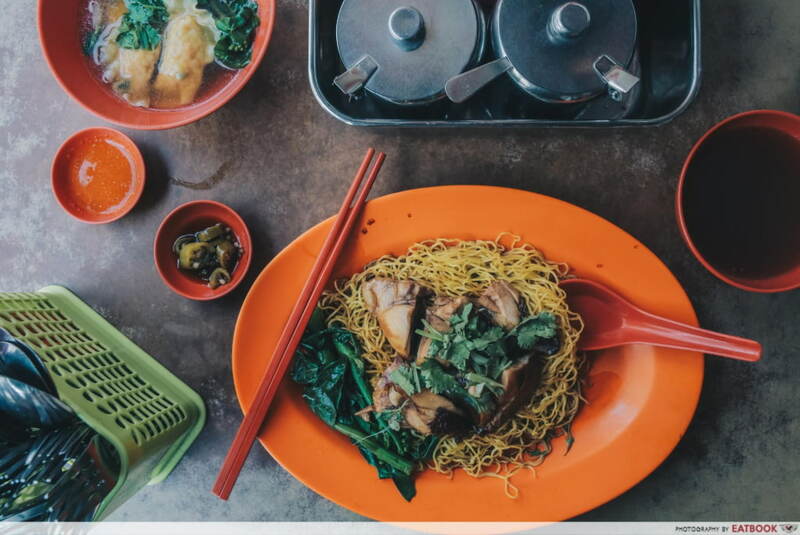 Expect a plate full of al dente mee kia topped with succulent chicken and stalks of kai lan miao. Request for their tender drumstick, which is drenched in an addictive house-made dark soya sauce. While you are there, be sure to also order their Pork Dumplings ($0.60 each). These plump and flavourful dumplings are filled with minced pork, chestnut and prawns, pairing beautifully with your plate of soya sauce chicken. The founder of Ma Li Ya Virgin Chicken is believed to have been the mentor of Chan Hon Meng, the man behind Liao Fan Soya Sauce Chicken. As such, when it comes to the dish, we’d definitely hold high expectations to it. 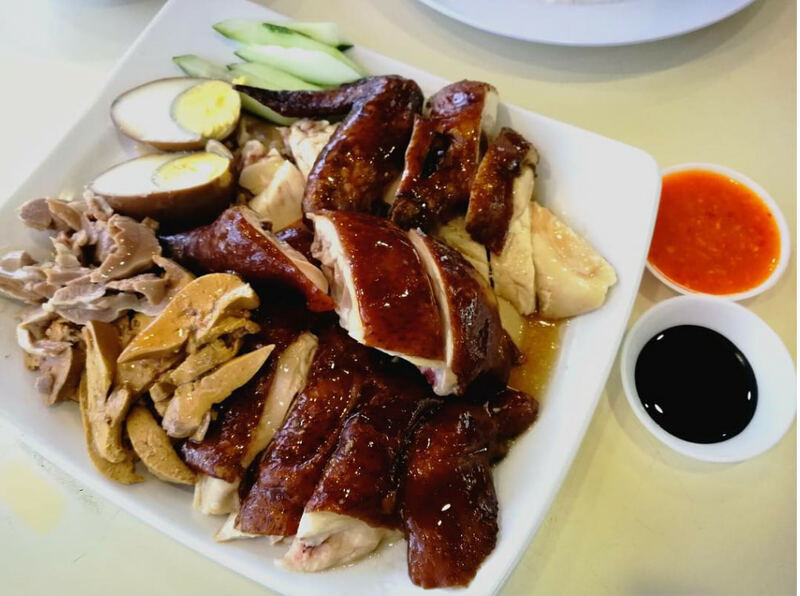 Maria’s Soya Sauce Chicken ($7 half /$14 whole) comes with a shiny glazed skin drenched in a sauce that’s perfumed by herbal notes and a bit of wine. 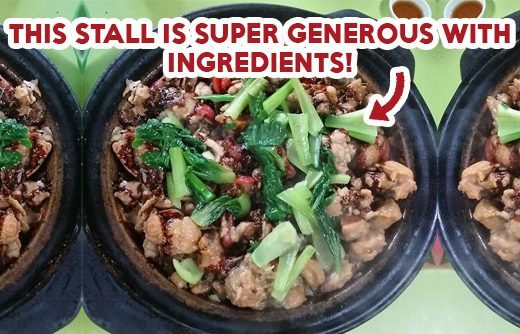 Be sure to top up $1.40 for a piece of their Signature Braised Beancurd for a tender, silky tofu drenched in a sweet and savoury braised sauce. Opening hours: Tue-Sun 7:30am to 4:30pm. Closed on Mondays and Fridays. 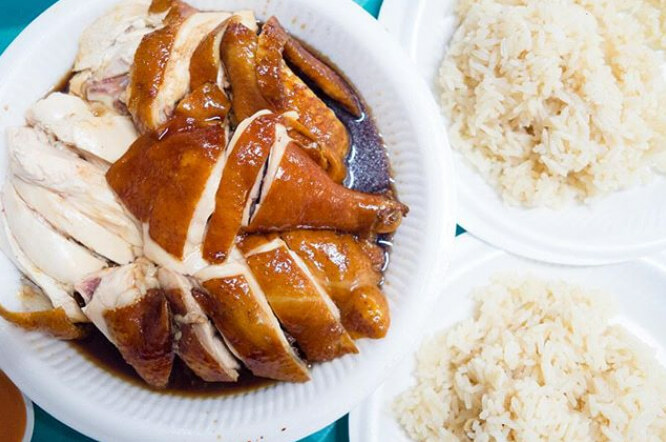 Hua Zai HK Roasted Delights serves a humble and no-frills plate of Soy Sauce Chicken Rice ($3) that’s stripped down to basic ingredients like rice, soya sauce chicken, and a few strips of cucumber. The chicken here is tender, and is drenched in a slightly viscous soy sauce with herbal notes. The sauce is not over-the-top salty and goes well with the fluffy and flavourful chicken rice as well as the garlicky chilli on the side. The stall also sells an assortment of roast meats, which smell heavenly when roasted over the charcoal stove. 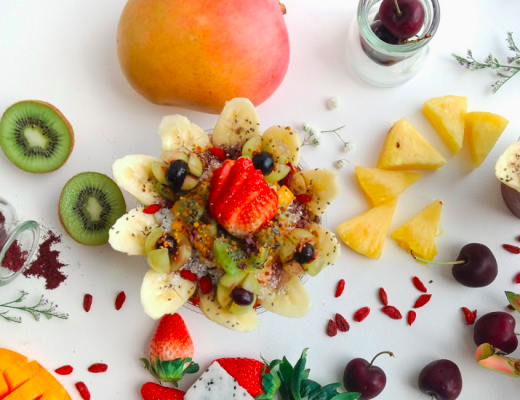 Haikee Brothers is an old gem that’s now being run by third-generation hawkers James and Joseph Wang. This stall boasts a decent plate of Soy Sauce Drumstick Noodles ($6.50), drenched in a generous amount of braising sauce. 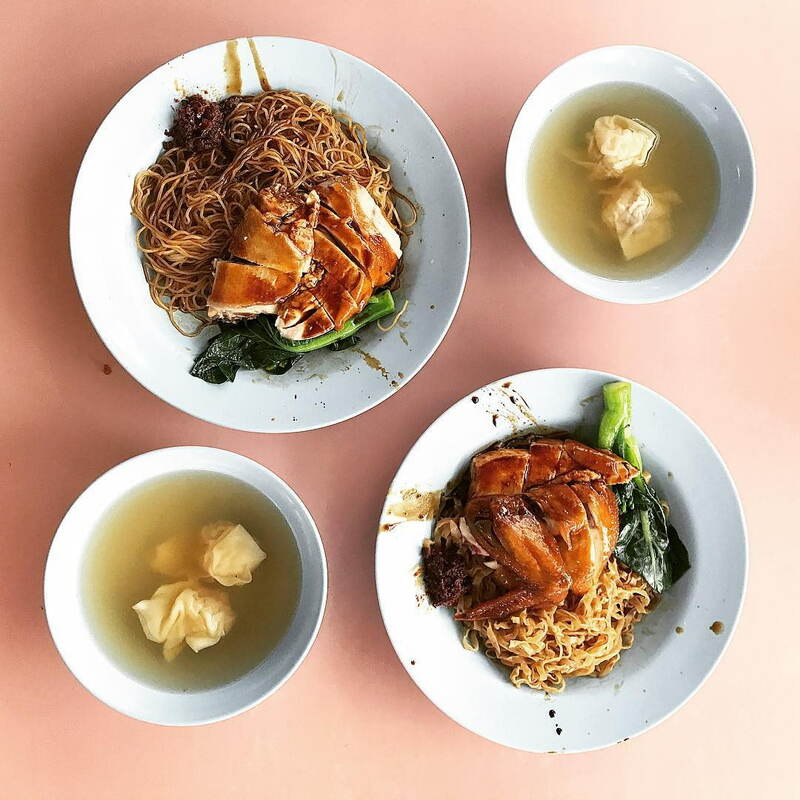 The chicken is braised for hours in their special dark braising sauce, and is then paired with a generous bowl comprising al dente mee kia, boiled vegetables and an egg. If you are looking for a more atas plate of soya sauce chicken to impress others, Kam’s Roast may be the place for you. Though this one restaurant is famous for its Roast Duck, it also sells a nice plate of Soya Sauce Chicken ($19.80 half, $34.80 whole) that goes addictively well with their ginger and spring onion condiment on the side. For those who like a variety of meats, we suggest their takeaway version of Four Treasure Rice ($11.80+) featuring a hearty plate of succulent roast duck, soya sauce chicken, caramelised char siew and salted egg, on top of a plate of gravy-drenched rice. Chew Kee Eating House serves a decent plate of Soy Sauce Chicken ($4.50/6) that comes with your choice of carbohydrates, from rice to egg noodles and kway teow. 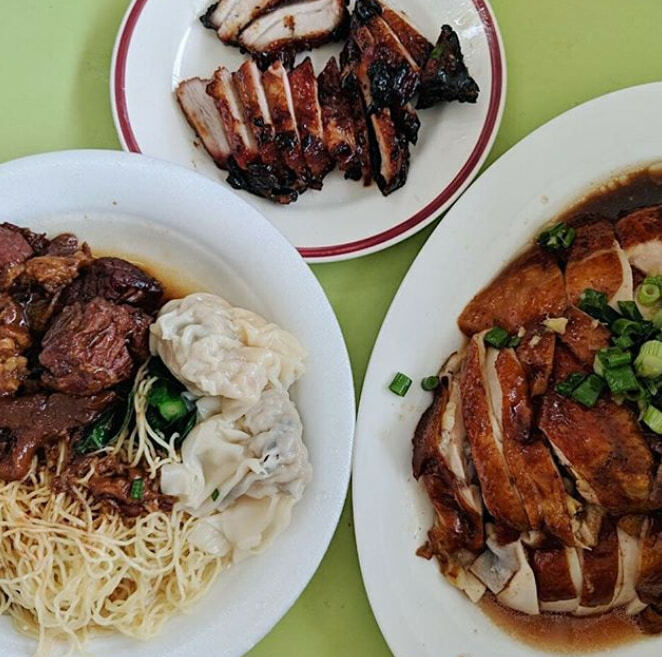 Depending on your preference, get the egg noodles for a QQ, al dente texture, or the kway teow if you would like your noodles to soak up the flavourful braising sauce. The chicken is juicy and nicely coated in a braising sauce that is rather addictive. Top up $1 for three soup dumplings for an added texture and crunch of water chestnut and minced meat. You can find Fatty Ox HK Kitchen at the more secluded section of Chinatown Food Complex. 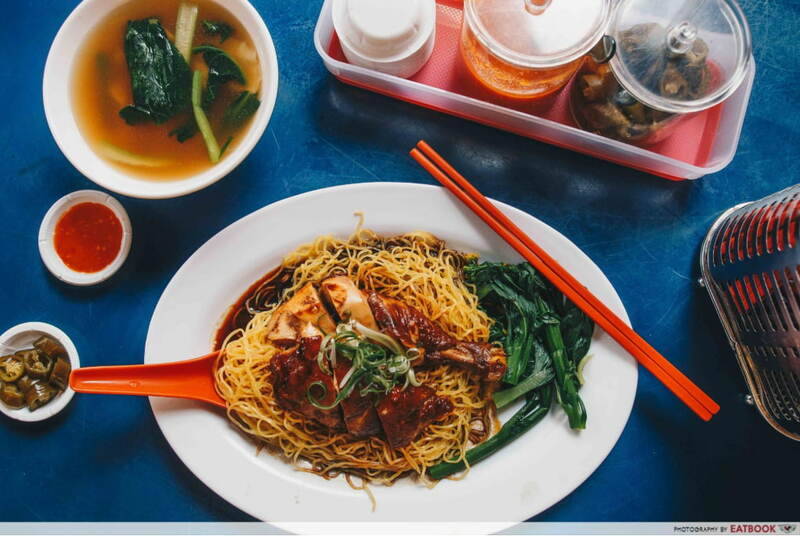 For $3, you get a plate of silky chicken with springy noodles and kai lan, topped with a spruce of spring onion. The tender chicken holds notes of rose wine, Chinese herbs, and minced ginger, while the springy noodle does not have a strong alkaline flavour. 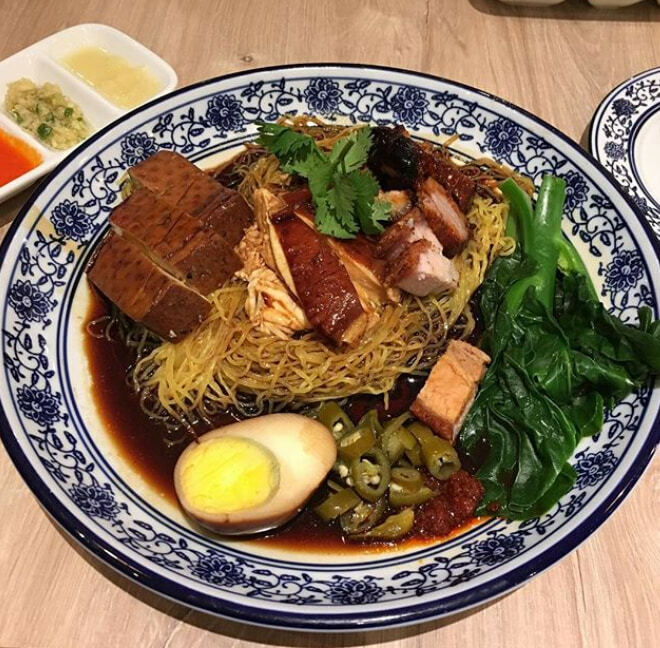 We also recommend getting their Soy Sauce Chicken and Char Siew Mee ($5), which has meat that’s roasted in a charcoal oven. 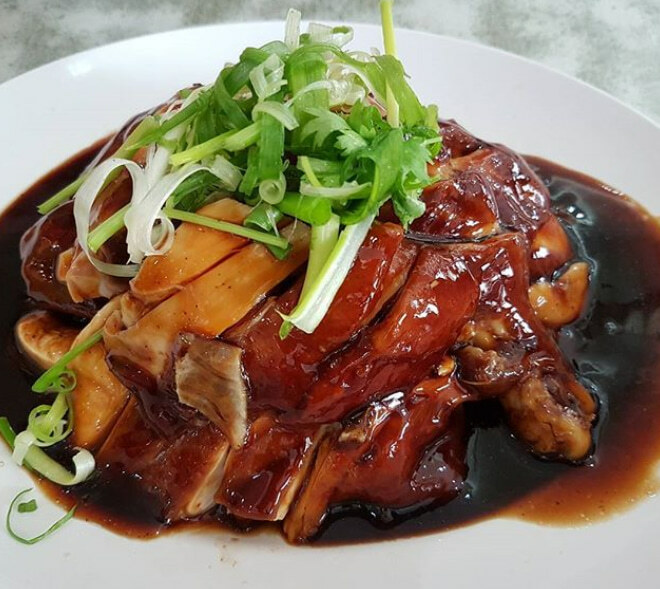 Located just 80 metres away from Chew Kee Eating House, Chiew Kee Soy Sauce Chicken serves the exact same Soy Sauce Chicken ($4/5) dish, although the flavour is vastly different. For those who prefer sweeter tasting notes to your food, Chiew Kee’s chicken is cooked in a braising sauce that is sweeter than the former’s salty, savoury punch. Do remember to give their dumplings a try too. For just $0.50 a piece, you can expect plump chicken flavoured dumplings mixed with diced water chestnuts for a bit of texture. Ho Kee Wo Lai Ye serves a decent plate of Soya Sauce Chicken Drumstick Rice ($3.50), with fragrant chicken rice served with glossy, braised chicken. The soy sauce chicken here may be a bit overcooked, but it is still delightful when drenched in its braising sauce. Top up an additional $0.50 for some chicken innards or $1 for their braised egg and tau kua to spruce up your meal. Unlike the usual plain, salty soup that comes with most chicken rice, the soup here is boiled with chicken feet, red dates, and soft cabbage. If you enjoy chicken rice as much as I do, you could also consider Go-ang Pratunam, a famous Bangkok chicken rice that’s now at Nex! 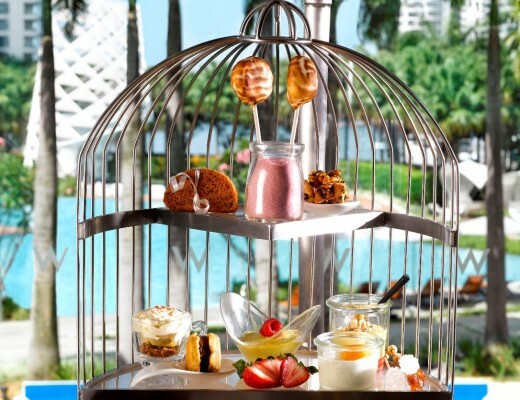 For the more adventurous, consider our listicle on unique chicken rice dishes, that includes chicken rice sushi!